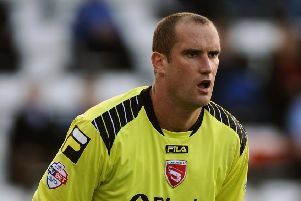 Morecambe will meet Preston North End this pre-season. Morecambe’s pre-season campaign has been finalised. Ten matches make up the programme for The Shrimps after a game at National League North Halifax Town was announced for Saturday, July 23. Ticket prices have also been confirmed for the games at the Globe Arena with the matches against Burnley, Preston North End and a Liverpool XI priced adults, £10 seating and £8 standing, concessions £8/£6 and juniors £3. Prices for the mini-tournament against Blackburn and Bury on July 16 are priced £12 for adults, £9 for concessions and £5 for juniors. The promotional four-match bundles are also available for purchase online. The new League 2 season kicks off at Grimsby Town on August 6.